We went Strawberry picking in a nearby Farm and got a lot of fresh Strawberries. 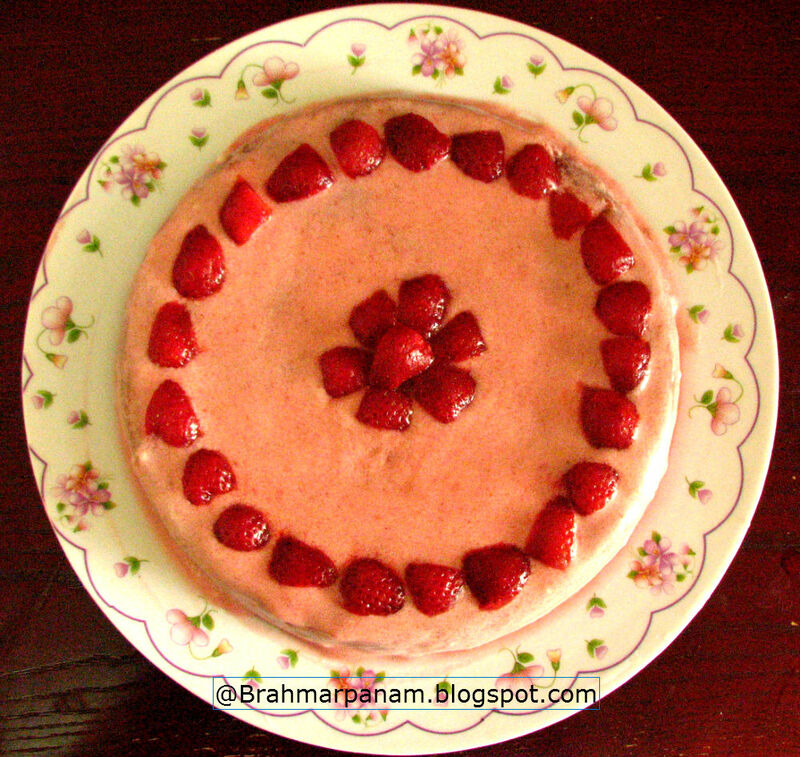 So I had to think of a way to use them and decided to make a Strawberry cake as it is my sister's birthday too. The original recipe was for cupcakes but I made a round cake and decorated it with fresh Strawberries. We celebrated her birthday with this cake while she is celebrating with her family in Blore. Happy Birthday Divya!! 1) Wash and slice the strawberries. Mix in the lemon juice and the sugar and keep aside for about 15 minutes. This helps to bring out the flavour of the strawberries. 2) In the meanwhile, preheat the oven at 350F and line a cake tin with Parchment paper and grease the sides with butter. 3) In a large mixing bowl, beat the butter and the vanilla with a hand blender or with a wire whisk, about 2 to 3 minutes. Mix in the sugar and the milk powder and beat until soft. Add the baking powder and baking soda and stir in half the flour, add half the milk and beat until soft, for about 2 minutes. Put in the remaining flour and milk and beat again until soft for 2 minutes. Mix in the strawberries with their juices. 4) Pour the batter into the prepared cake tin and bake at 350F for 25 to 30 minutes or till done (until a skewer comes clean). 6) Apply the frosting on the sides and top using the back of the spoon / basting brush and decorate it with some fresh sliced strawberries. 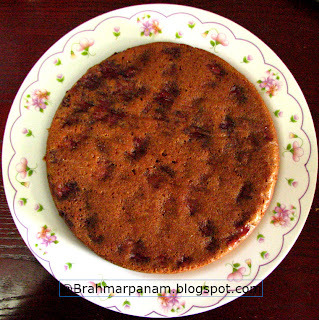 I would suggest you keep the leftovers of the cake (if any) in the refrigerator as it may not keep well outside for more than a day since we have used fresh fruits here.